Small in stature yet big in features, FRED-L laptops built with Intel Core i7-8700K six core processors provide the processing punch for any forensic challenge. Memory expandable to 64 GB and slots for up to four hard drives supports the I/O flexibility required by today’s leading forensic software applications. High performance external interfaces including Thunderbolt, USB 3.1, and USB 3.0 minimize data transfer times. Field or lab. Imaging or analysis. FRED-L laptops perform. 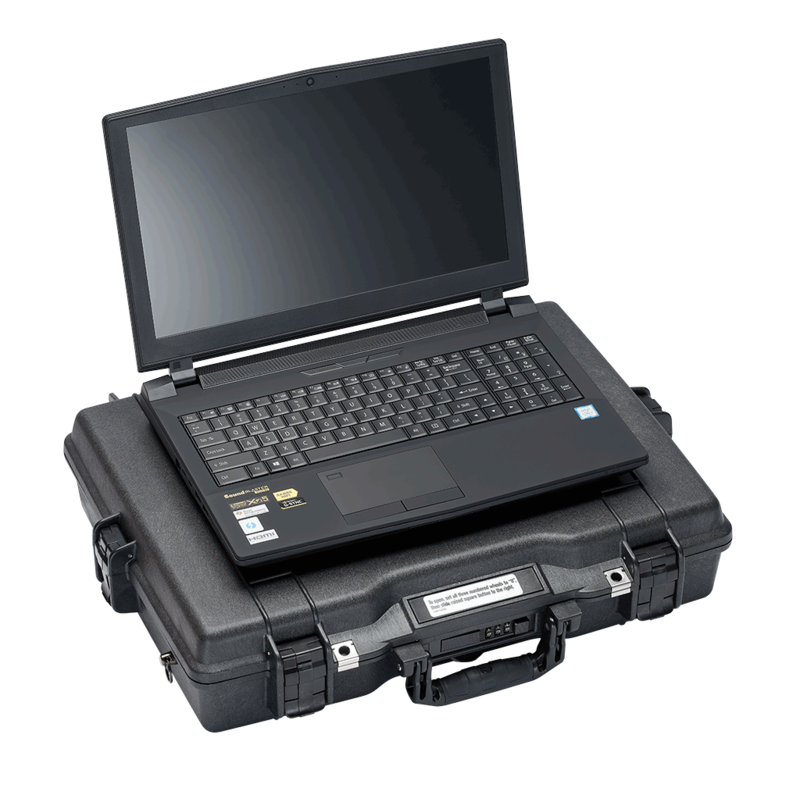 Buying a FRED-L laptop gets you more than just a top-of-the line, high-performance forensic computer. Each FRED-L laptop includes our valuable UltraKit stocked with three UltraBlock write blockers (SATA/IDE, USB3.0, and SAS), an UltraBlock Forensic Media Card Reader and the Digital Intelligence USB 3.0 drive enclosure with a 2 TB hard-drive. All for the price of the FRED-L laptop. VPER - Kitted for US Special Forces. Available to You. 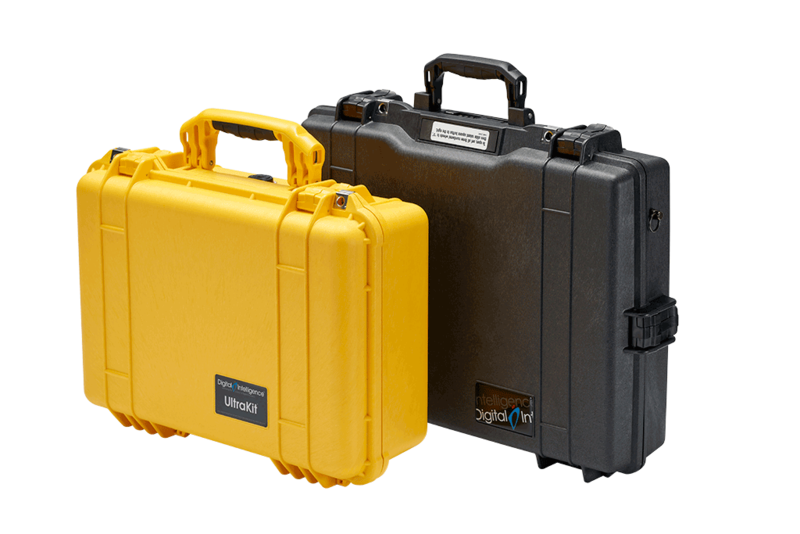 The Digital Intelligence VPER kit is configured to ensure you are always prepared for the next forensic challenge. At the core of each VPER kit is a FRED-L laptop. We’ve also included a set of UltraBlock write blockers, a Tableau TD2u Forensic duplicator, the Digital Intelligence Forensic Card Reader, adapters, cables, power supplies, and assorted tools. EnCase Forensic 8 is a popular VPER kit option. When you aren’t certain what the forensic road ahead will be, it’s reassuring to be traveling with a VPER. FRED-L’s are built for use at digital crime scenes. Use the FRED-L and the UltraKit v4.1 to collect and process digital evidence at any crime scene. Simply remove the suspect drive or storage device, connect it to an UltraBlock, and image. FRED-L can then be used to triage, analyze, or process the collected forensic evidence. We’ve been shipping FRED-L’s since 2004. While we can’t claim invention of the laptop, we will claim perfecting it for digital forensics. Take a FRED-L to your next crime scene and see what we mean. With multiple software boot options, FRED-L is ready for any forensic software tools your investigation calls for. Windows 10 64-bit Pro and openSUSE 64-bit Linux Pro are pre-installed. Whether your software tool of choice is optimized around multiple cores, clock speed, or memory, FRED-L’s power and flexibility shine through. Up to four drives available. Multiple drive options are available. 10/100/1000 Mbps Ethernet LAN port. A set of three UltraBlock write blockers (UltraBlock SATA/IDE, UltraBlock USB 3.0, UltraBlock SAS), Forensic Media Card Reader, UltraBlock power supplies (2), and all required power/signal cables. A set of four UltraBlock write blockers (UltraBlock SATA/IDE, UltraBlock USB 3.0, UltraBlock SAS, and UltraBlock FireWire), Forensic Media Card Reader, UltraBlock power supplies (2), and all required power/signal cables. Lifetime technical support (email, phone and via website). FRED-L warranty 36 months from date of purchase. UltraBlocks and duplicator warranty 12 months from date of purchase.